Video is one of those things I’m slowly getting into the groove of. I’ve been ramping up Tekunoloji’s videos on YouTube. I shoot all my videos in HD 720p or 1080p, depending on camera I have on me. My gear is usually an Olympus PEN camera or my trusty iPhone 4. 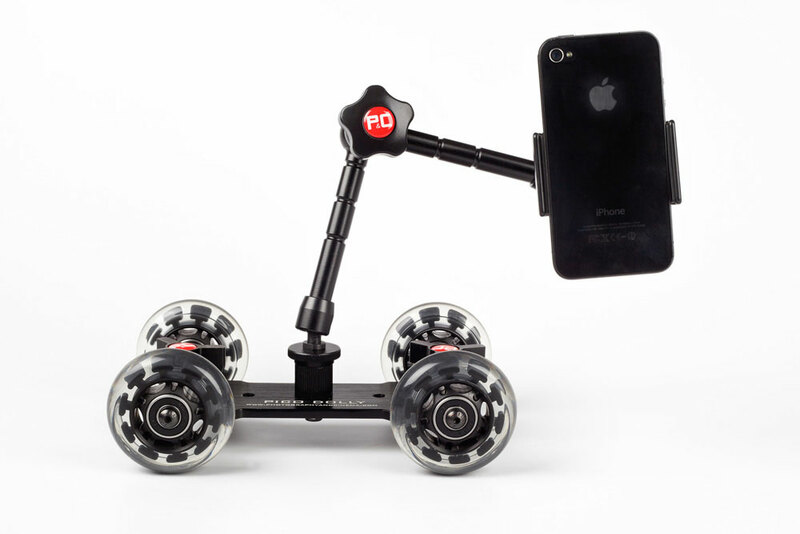 The Pico Dolly is really just an arm attached to a plate with four Rollerblade wheels. 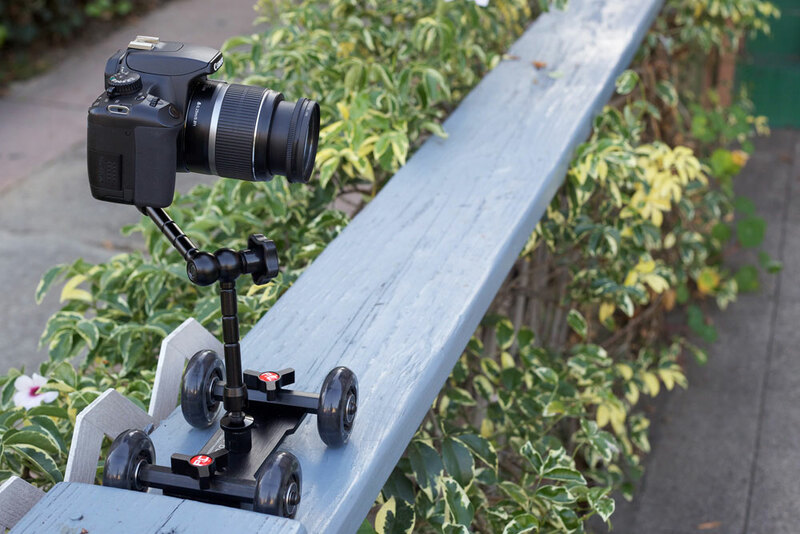 The wheels are adjustable and can be rotated to create an arc for some neat 360-degree views (see video all the way below). The arms are also strong enough to hold a DSLR, mirrorless cameras and smartphones, which makes it quite the jack of all trades. 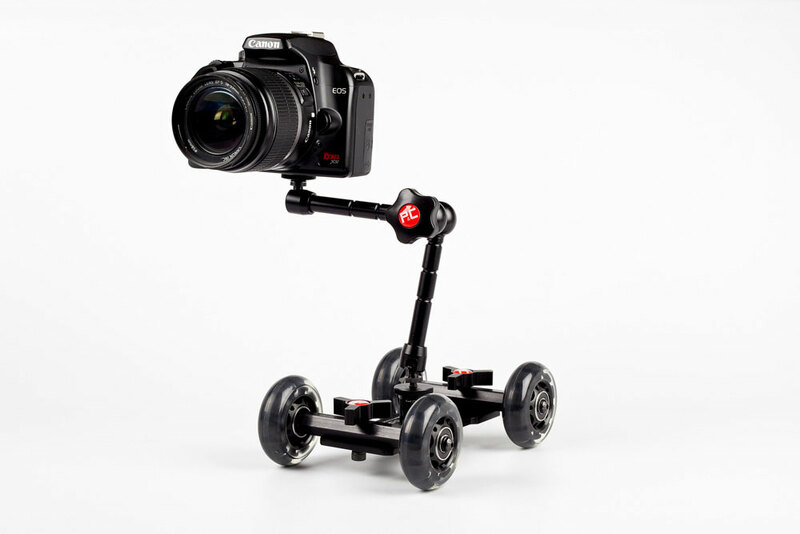 In one of The Verge‘s “Vergecasts” managing editor Nilay Patel said that he swears by the Pico Dolly made by Photography & Cinema. 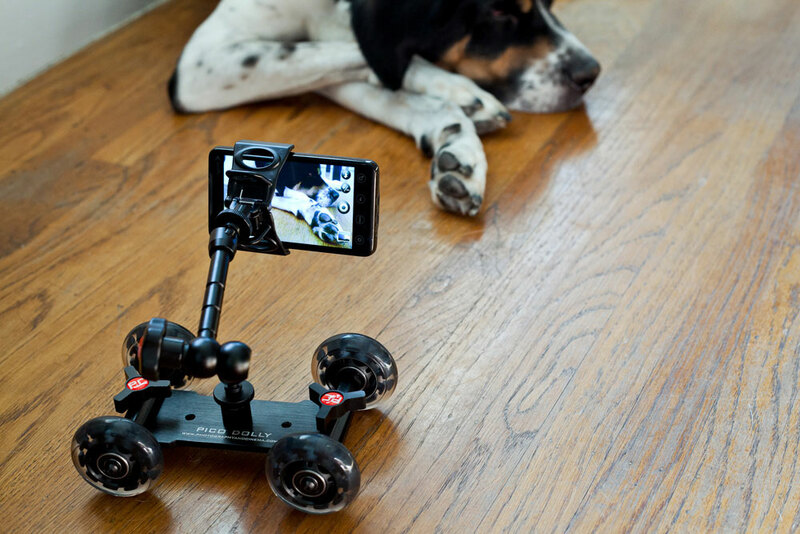 Apparently, all of their amazing gadget videos are shot with the Pico Dolly – which is to say the results look fantastic. 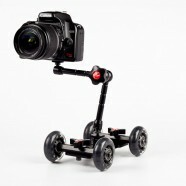 The panning is smooth and the videos look very professional, despite the low-budget gear. 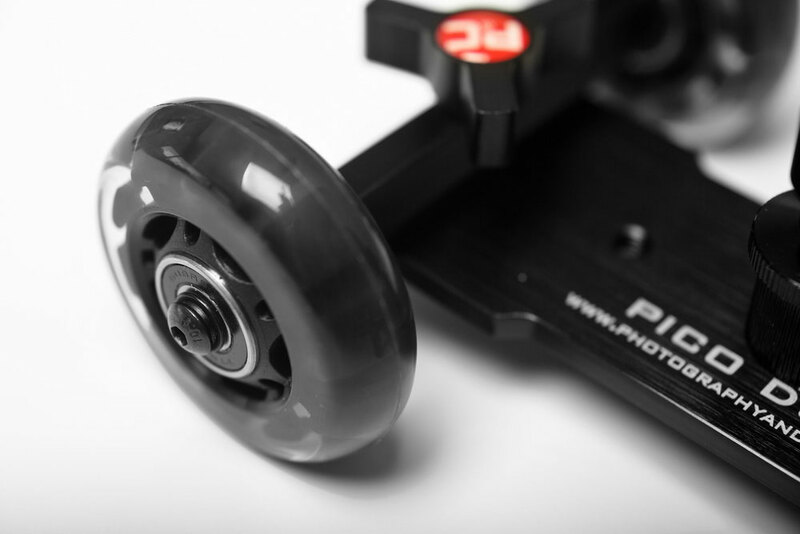 Photojojo is selling the Pico Dolly for $90, but interestingly, there is no mention that it is an official Pico Dolly, but rather it’s just generically named “Camera Table Dolly.” The photos (below) do seem to show the red Pico Dolly logo, though, I have to mention that Photojojo’s deceived me in the past (see this video rant on the crappy and bootleg Canon lens mug Photojojo sold me). 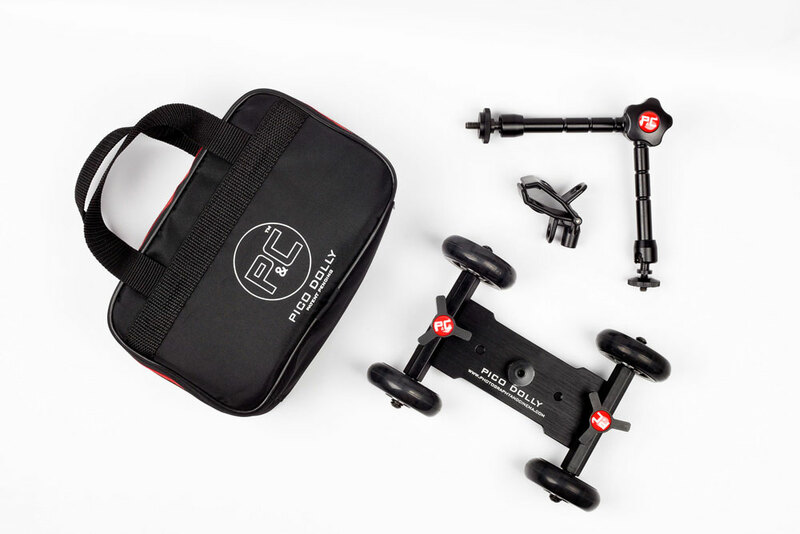 I pulled the trigger on a Pico Dolly from Photojojo the other day and then canceled my order after a good night thinking over it. 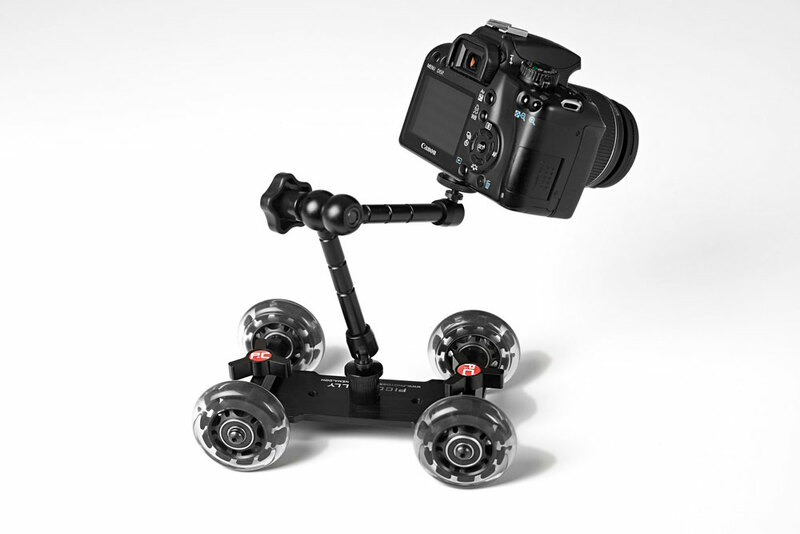 My main issue is that the Pico Dolly really only works on a table or smooth surface. 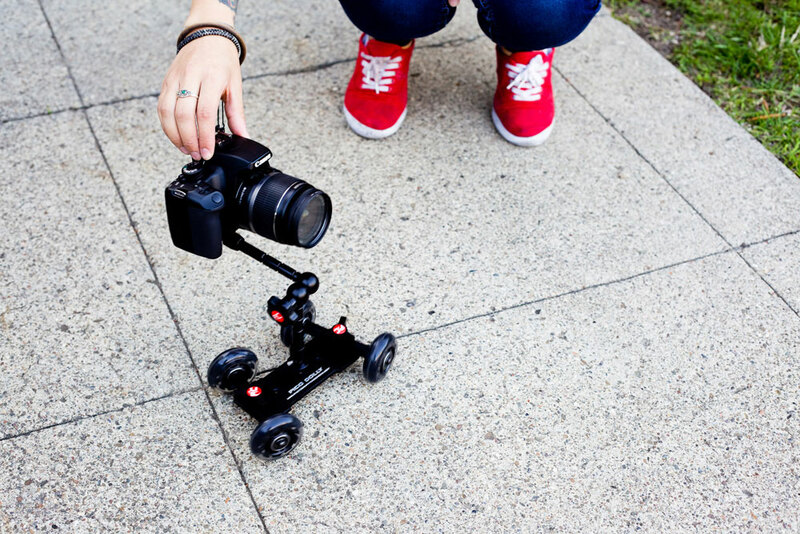 Roll it on a rough floor or pavement and there maybe be some hiccups in your video. You can also see in the demo video below that they use a plank board to keep the panning smooth, which as some people pointed out, defeats the purpose of its portability. 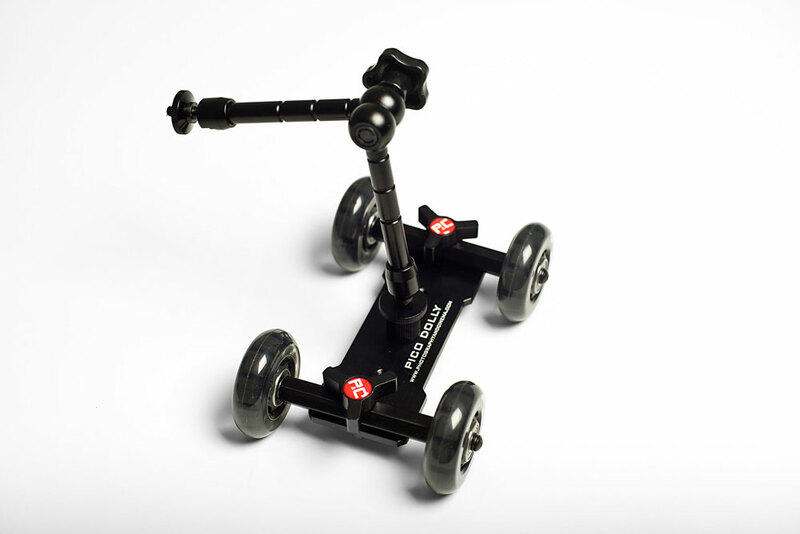 I’m still considering the Pico Dolly as a useful asset tool for professional videography, but I’m not sure if I need it yet. I’m also worried that the price will increase. The last thing I need is another piece of camera equipment that seemed like a future-proof tool at first, but ends up in a drawer bin to be forgotten.